سواءً كنت مسافراً بغرض السياحة أو العمل, Beach Front Motel هو خيار عظيم للإقامة خلال زيارتك نابير. يقع الفندق على بعد 1km من مركز المدينة، ويؤمن الوصول إلى أهم مراكز المدينة. يوفر الفندق بفضل موقعة الجيد وصولاً سهلاً إلى أهم معالم المدينة.
. إن الخدمات التي يقدمها Beach Front Motel تضمن للنزلاء إقامة مريحة. يقدم هذا الفندق العديد من الخدمات الكفيلة بإرضاء أكثر الضيوف تطلباً. تتضمن كل غرف النزلاء وسائل الراحة والتسلية المصممة خصيصاً لضمان الراحة القصوى للضيوف. كما أن مجموعة الخدمات الواسعة الموجودة في الفندق لضمان راحتك تترك لك الكثير من الخيارات لقضاء وقتك أثناء فترة إقامتك. مهما كانت دواعي سفرك فإن Beach Front Motel هو خيار ممتاز لإقامتك في نابير. Rude customers, my daughter was verbally abused by another patron for making too much noise as she walked to our room on the top floor. During my check in I was made to wait because the receptionist decided another patrons needs were more important than mine. Would not recommend this hotel to others. A lovely motel. We booked a family suite with city view, a king in a 'room' and 2 single in living area. Great space however not ideal for 3 or more as no actual sound barrier between rooms so was able to hear other person on lounge who unfortunately was a loud sleeper. Blinds as a divider is not ideal. Also no privacy when someone goes into bathroom from lounge.Other than that a big space comfortable beds and so close to town! The room was large enough. However, there was a bath tub next to the bed, which I thought was a bit different. I guess for those wanting to take a bath and look out the window to the ocean? The bathroom was very small, a bit disappointing. We enjoy the spa bath and comfortable bed love the fact kitchen is fully equipped to cook a meal. Very high cleaning standards well done to the Team. Love cooked mealike. 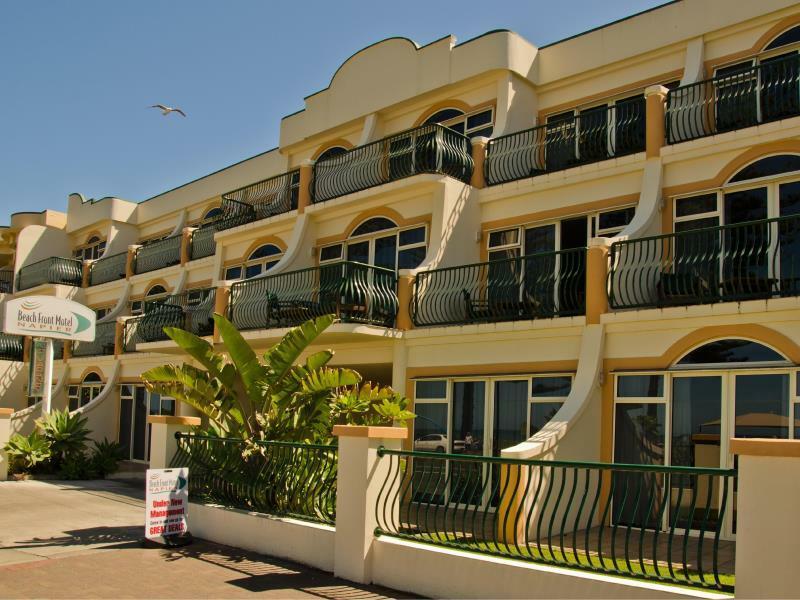 Excellent location and value for money, I stay regularly and will continue to do so. Gorgeous view, and the room had everything we needed. Just needs a revamp of peeling paint and new bed spread. The milk I was given had the seal broken with mould under the seal. They were apologetic and replaced it immediately. We had a great stay at the beach front motel as the name suggests we were located right at the beach front. Shops cafes and restaurants were only a short walk away. The rooms were excellent comfy beds and clean facilities. Staff were also very friendly and helpful with anything we needed. 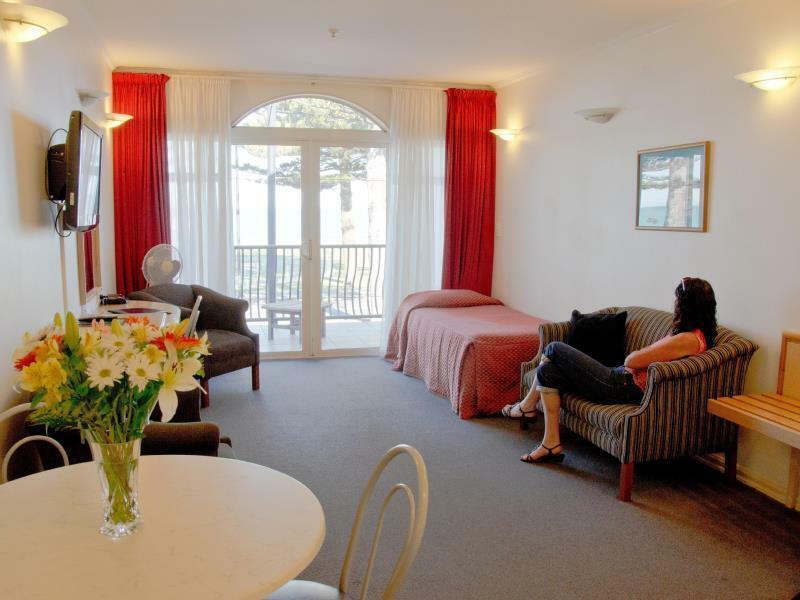 We would definitely recommend staying here and would stay again if we return to Napier. The room was very nice. It was 2 bedrooms plus a kitchen/living area and a lanai. Lots of clean living space with a great view of the ocean! The front desk was extremely helpful and nice as well. Beach Front Motel was pleasant and just what we needed for our one-night stay. Napier was lovely, and if we returned we would definitely consider staying at Beach Front Motel again.